It was a classic Christmas poem, and as Santa intoned, “T’was the night before Christmas and all through the house . . . ” five tiny faces stared at him in delight and amazement. 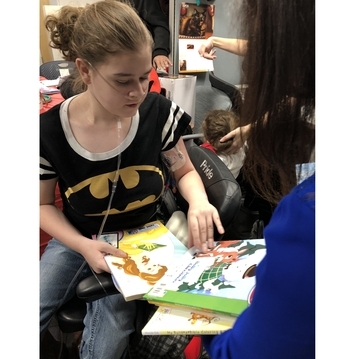 Each had a grin that beamed from ear and ear, at times seeming to block out the oxygen tube situated under a nose, the feeding tube across a cheek – the fragile features of a child battling a terminal illness. 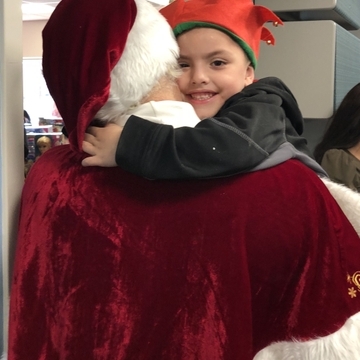 These patients and their families were treated to breakfast with Santa and a very special gifting session Wednesday as part of a partnership with UNM Hospital’s Mariposa Pediatric Hospice program and grocery giant Smith’s Food and Drug Store. The joy was abundant. 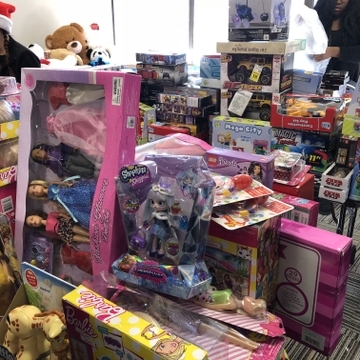 Gifts crowded tables, spilling over onto the floors and window sills, each of them donated by an employee in one of the 24 New Mexico Smith’s stores, and all thanks to an idea from Cheryl Minns. Minns knows first-hand the heartache the Mariposa families will experience. 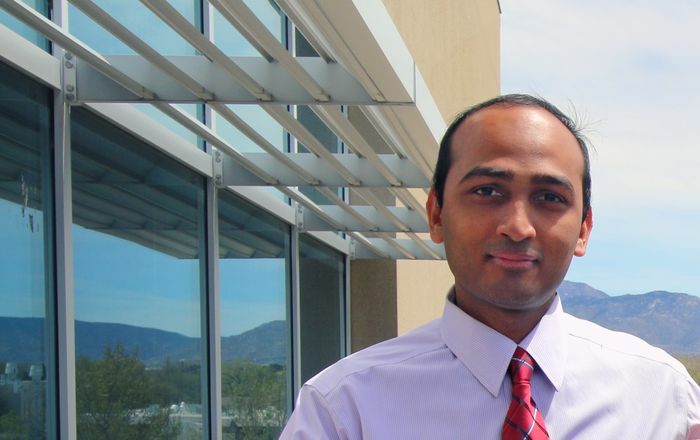 She was assisted by the UNMH program in 2011, when her five-month-old son Luciano passed away. The at-home hospice service and support provided some solace in a very dark time, she said. “It was a way to bring my son home and have some support at home,” Minns said. Her pain is still very real; her eyes filled with tears as she described moving from grief to a spirit of giving. Three years ago she asked her employer, Smith’s, to support a toy drive. Smith’s management loved the idea and this year took it a step further, surprising Mariposa staff with a check for $30,000 to buy needed supplies. That’s on top of the toy donations that will provide gifts for 25 Mariposa families and about 75 children. Wednesday’s breakfast with Santa was no different. Ryan’s three healthy children played with Mariposa staff, sat on Santa’s lap and picked out toys. “With everything we have gone through, I would say this is one of the best moments of the year,” Ryan said. 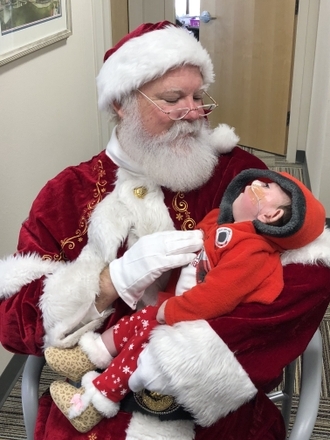 For a little while on Wednesday, the young patients were all just kids being kids. Megan snagged a giant stuffed bear and coloring books, while Ryan’s children proudly displayed their toys and hugged Santa. All the while, their parents looked on, forgetting for the moment all they have endured – just enjoying watching their children smile.